Nik and I started dating September 2005. He later went on a mission to Tokyo Japan from April 2007-2009. After nearly 4 years together, we dated, I waited, and our eternities began June 10, 2009. Even better...our little girl, Tatum, arrived on May 25, 2011 and our little Aubry came on Valentine's Day 2013! 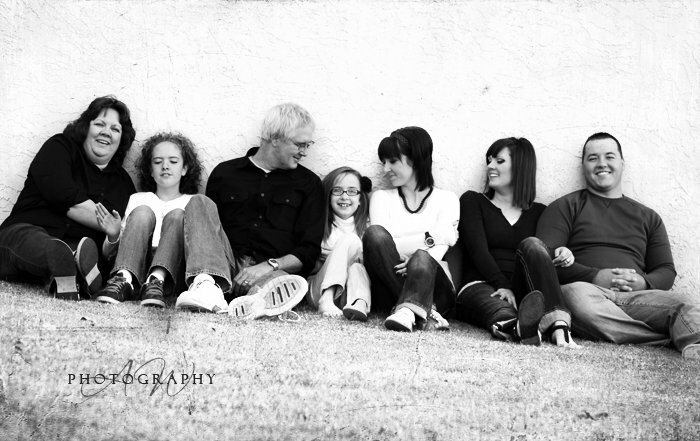 We love our little family! but made possible with the faster internet now. so that is why there is a huge space between posts. This has been one crazy fun year of marriage. and loved each experience in its own separate way. We were both so excited because the last time I went to Disneyland I was 8 and Nik's last time he was 18.
and came at a perfect time for living 90 minutes away from the park at the time. Here are some pictures I can FINALLY load up with the faster internet. Welcome to Disneyland, ya Lovebirds! 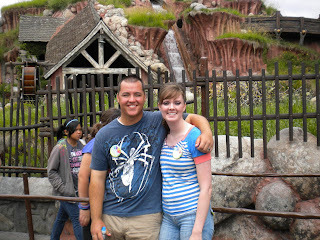 In front of Splash Mountain. We did this one twice. We stuffed our faces and didn't have to eat for the rest of the day. OMGoodness! It was sooooooOOOOooooO Good! so it was down for construction. I WAS a little nervous to ride it. Made him go first because I didn't want to fall out. My MOST FAVORITE ride EVERRRRRR! Nik and I waited a little longer than 2 hours to get the front seats. I WAS SCARED OUT OF MY MIND! But then I wanted to go on it again right away. Well, that sums up our trip. It was so fun. I love this man and the fun times we have together. and here is a sneak at what she did. This has been a hard concept for me to comprehend. Patience hasn’t been one of my best qualities. I thought I did great while waiting for Nik. Of course I had my ups and downs but I survived those two years. I did it. We made it. But looking back at that….I wouldn’t really call that Patience. I would just call that “waiting” just like a pregnant lady….let me explain. When Nik left, I knew when he would be back…just like a pregnant lady has an estimated due date. There is something to look forward to. I thought I would be perfect as a pregnant lady (in the future) because HECK that is only 9 months, not 24. I might be perfect at it…but I wouldn’t call it patience. To me…patience is waiting for something to happen and not knowing when that might be. Now THIS is very hard for me. I have a HARD time not knowing. Ask my mom (or Nik, as I shared this with him on our first date) about my first Disneyland experience. I was NOT about to wait an unknown number of hours to find out where we were going. Not gonna happen! Well these last 3 months my patience was tested to the max. Let me explain….Nik and I have been married for 1.5 years and this whole time we have made many choices with Prayer and Faith. We got married 6 short weeks after he returned home from his mission and then the day after our reception we moved to Utah where I had a job but Nik did not. We didn’t know anybody except my aunt who lived 30 minutes south and Nik’s great-aunt who lived 45 minutes north. So…we were pretty much flyin solo in good ol’ Provo. Although that was a difficult 10 months away from what we were comfortable with in Mesa, we felt we needed to experience it and are so grateful we did. Nik was able to get a job 1 week after arriving. Then we heard of this opportunity in San Diego selling pest control. That was another experience that helped us grow. I was able to work with the same company there with Nik, so we were both employed. It was awesome to live there for a few months. After 2.5 months there, my old boss from Mesa called me to let me know she needed me NOW but Nik still had 5 weeks left in his contract in San Diego. We decided I needed to go home to AZ without him to be able to keep the job I loved and we needed. 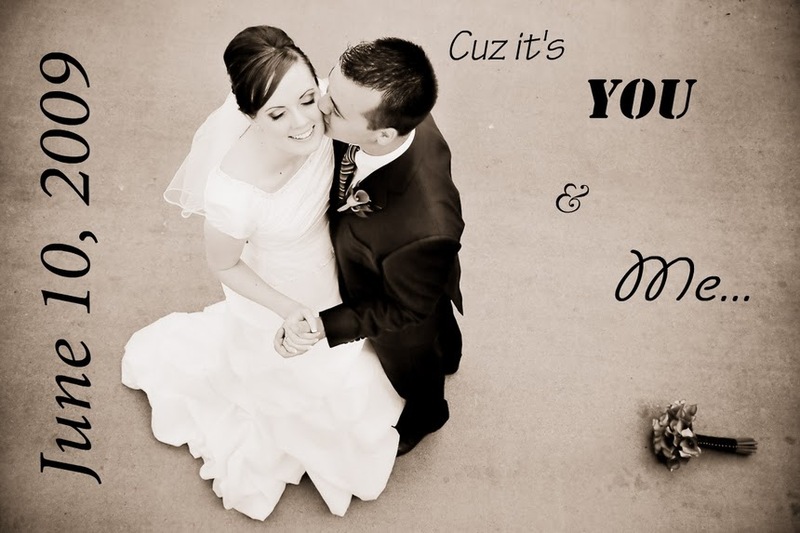 (so, if I lost you, we married in AZ, moved to UT for 10 months and then to CA for a few months, then back to AZ). After being apart for 5 weeks while Nik was in CA and me in AZ, he was finally able to join me and we moved in with his parents house. They are so kind, generous, and they love us. I am so thankful for them and their hospitality, also for his dad giving him work while finding a job. We have been living with them since August and we are so blessed. Well, Nik had been applying everywhere for any sort of job. He focused on Bank of America as they have great benefits and pay. One of the positions he applied for actually did a phone interview and then a real in-person interview with him. Even though he interviewed, he kept applying for more positions with BofA. Well, he kept getting emails back denying him a position but they weren’t specific as to which position he was denied. So I thought a few times those were from the interviewed position. But then they would send him a request to do a background check…and then I got my hopes up again. And THEN we would get more denied emails. And I got so sad. That position looked so promising! For some reason, Nik has always been better at keeping his chin up and positive. (I think that is why we were meant for each other….so I could grow.) Well after we were suppose to hear back from that interview after a week…..it was 3 or 4 weeks and THEN we heard back….AND HE GOT THE JOB!!! He got it! And Nik just said “I told you we would be okay.” Yes, yes he did…but I just have a hard time. WHEN? When was he going to get a job? There was no timeline or expiration date. This has been hard but such a blessing to move forward with Faith. Okay, I had to take a break from this post...as I'm sure you did IF you are still reading this...so let me just make this short-ish story shorter. I love my Heavenly Father and His plan. He keeps putting things in my path to help me grow with Patience, but I usually just give up. Maybe I don't even give up, I just complain. I might not even complain, I just get really sour about everything. My wonderful husband is a sweet man because he puts up with me when he is so strong in this. And my Heavenly Father is wonderful because He KNOWS I can do hard things...He will never give me a task He knows I cannot handle. Like I said earlier....I believe that is one of the many reasons Nik and I were meant for each other. I wouldn't say we are complete opposites, because we aren't, but there are many things we are opposite in. He like the crust of the brownies, I like the inside. PERFECT! He like the crunchy cookies, I like the soft...sometimes not so perfect. (only in the sense that I get all my cookies to myself). He is always warm and I am always cold. THE BEST! We are both picky eaters but about different things....so food usually never goes to waste. which then makes it difficult to have patience. I love him and my Heavenly Father, who has the plan set out for me...and probably gets a good laugh every now and then over my ridiculousness. Well, enough. This was extremely long. Thank you. Oh, and Nik starts his new job in 12 days!!!! I'm so excited. WE'RE so excited. With that comes better hours for everyone involved = more time together. I didn't have access to the internet yesterday, so today will have to do. Yesterday, May 13th, marked one year from the day Nik asked me to spend the rest of my life with him. We have it on video because he was super sneaky (knowing me, you have to be) and still I have yet to see the video. Someday when we get back to Mesa I will, but it has been in storage all this time. I am so lucky to have him as my husband. He is the best thing that has happened to me. He makes me laugh all the time, helps me learn and grow, and makes me so happy everytime I look at him. At times I feel I do not deserve him because I just could never imagine being any more happy. dreamt about my whole life. Thank you for finding me and loving me. Tuesday May 10th...I became sane once more. I was able to go grocery shopping with a full budget and my buddy. I had my coupons cut, my recipes laid out for the next two weeks, and some money! First stop - Smart & Final. Here I got Nik his favorite cereal, HONEY BUNCHES OF OATS. $1.88 is something I couldn't pass up. Not exactly the cheapest I have paid but it definitely was a good deal here in SD. Next stop - CVS. I was able to stock up on canned veggies and some RAISIN BRAN, Nik's next favorite. The boxes of cereal were smaller but only $1.38 and heck, still under 2bucks, I will take it! Last stop - Von's. This is where I stocked up on the majority of my food list to last us 2 weeks. I got Nik his last favorite cereal that happened to be on sale, HONEYNUT CHEERIOS. $1.48 wasn't bad at all! But let me tell you the best deal of the day!!! Betty Crocker cake mixes, frosting tubs, and original brownie mixes were all BUY 2 GET 3 MORE FREE! Wait, what? Pay for 2 and get 5??? Kidding me? I had to ask the gal next to me in the aisle if I was reading that right. And THEN I had 75cent coupons. 6 of them! It pays to buy newspapers in bulk. So...I bought 2 or 3 rounds of 5 items each the first time but they were out of German Chocolate Cake frosting so I had to come back that night to get the new product. After work at 10 I went back with Nik and got 3 pairs of German Chocolate Cake frosting and cake mix and 2 pairs of the FunFetti kind. I was sooo happy. We are going to make cupcakes up the wazoo! Well, thank you for checking this out! All in all...I purchased $296.09 WORTH of food but only paid $138.55. I saved $157.54 being a 53.21% savings! I WAS STOKED! Nik was very happy too! We finally have food in our pantry and fridge after 3 weeks of it being empty. Such a nice feeling. I have had better savings percentages but after 2 months of not being able to shop like this, it feels GREAT! ...and nobody can believe it. You might be asking what happened on this day. No, we did not get engaged on this day. No, we did not get married this day. No, we did not start dating this day...(well sort of). And no, I am not crazy for celebrating all the little things. full time mission in Tokyo Japan. returned home after 749 LONG days away. This day was the day I felt I was living in a dream. This day was the day I had been waiting 3.5 years for. ...the few pictures I have on this laptop. but my computer wouldn't load them. I will update this post if I can get them up here. over in the lands of Japan. Thank you for being such a great example. This day was a special one for so many. p.s. I'm lucky I'm in love with my best friend. Okay....So....last night we went to Target to get me some new flip flops. I heart Target flip flops. The top is rounded perfectly with my toes...a slight square toe with a slight curve. PERFECT! So...like I was saying...we went to get my flip flops for the summer. 2/$5. Nik was down the aisle checking out the Clearance shoes. He found his favorite shoes in a new color...for $5. I laughed and rolled my eyes...but heck, if my favorite shoes were only five bucks...I WOULD BUY MULTIPLE TOO! He was so funny to see him so excited to get new shoes and to get 2 of them. Silly goof! But let me tell you about my awesome shoes. Today I wore my knee shorts and the white flip flops...and the brand new white shoes make me look TAN! Mark this day on your calendar - April 20, 2010. I am talking about the day I realized admitted I was an addict. Nik and I have been living out of a suitcase for the last 10days. All our other stuff has been in packing boxes. I haven't shopped for groceries or looked at any ads for about 3 weeks. I haven't clipped coupons for 2 weeks. I haven't even opened my coupon binder for 2 weeks. YESTERDAY this all fell apart. Anywho...I had to go shopping for a few necessitites - Milk, bread, eggs, meats, etc. I went to Vons (which is the same exact thing as Safeway and Smith's). I love it! My coupon binder was still in a box SOMEWHERE in the apartment at the time of my shopping adventure. I walked into Vons and felt so naked and so alone. Alone because Nik wasn't with me. Now, I can handle and NEED to handle Nik not being there because he works EXTREMELY long hours...sometimes until 8 at night. However, I cannot and WILL not handle my binder not being there. My binder keeps me sane. I realized without her I am lost. I felt so uptight and not "together" about the whole shopping experience. I walked up and down the aisles with no clue of what was on sale, what I had coupons for, what coupons expired that I need to throw away, NOTHING! I felt like I was committing a murder...a murder of our money...to THROW soooo much of it away! ok, so that MIGHT sound a little dramatic...but no joke, I felt horrible! NEVER will I shop without my buddy. She saves me lots of money! SO...I ended up making it out of there ALIVE, thank goodness, and headed home with $47 spent. WTH!?!?! And I only had 4 bags to show for it. Yes, Cali and SD are more expensive to live in but that is just unacceptable. That is what I spend in 2 weeks of groceries. YUCK! The prices weren't too bad, it was the fact that I bought them when they were not on sale and without a coupon. Two very big NoNo's. I tried to relay this story to Nik but he was so so SO tired, I don't think he understood the sadness I was feeling. This CANNOT and WILL NOT happen again. I am sure if you read hard enough, you could hear me and the pain in my voice. I know my Mamma can! Anywho...it's true. Here is the link. It's just a simple blog that will showcase new recipes I find. Heck, who doesn't want to try something new....and can I say....EASY!!! I know I like that idea! And so does the Nikster. So...as I look for new recipes and try them out, I will post them here for you to try. I have to successfully complete the recipe in order to post it...which means ANYONE can do it too if I have! Trust me...I am NO Pro and definitely NOT any better than anyone when it comes to cooking or baking...but I AM trying to expand on the few recipes Nik gets stuck eating every week. Check me out. Follow the adventure. And enjoy! I am always [the whole purpose of the blog] looking for new delicious and simple meals....so email me if you have some for me to try! I would love it! Do you get the Sunday Paper? Do you like to SAVE MONEY?? Now…if you answered YES to all of the above (like me)….did you know you could save even more money by purchasing MULTIPLE Sunday papers??? Ask your local paper if you can receive more papers and possibly get a discount. It is like Christmas morning every Sunday Morning. Inside those Newspapers are COUPONS! Before November I had NO idea you could order multiple papers to get multiple coupons for the same product. I had NO IDEA! You know what that means…MULTIPLE opportunities to save on one item and stock up. Can you say AWESOME?! I can now get 5 of that item and start storing more in my Food Storage! Nik and I got married in the summer and after a few months of grocery bills…we realized that other than Rent Payments, those receipts for groceries were our biggest monthly expense. We decided that starving wouldn’t be the best of ideas…so we went and bought a 3-ring zipper binder, baseball card pages, and dividers. We then subscribed to the newspaper and started getting one Sunday paper each week. That was great and we saved $13 (out of $127) on our first majorly-focused trip to the grocery store. How to Clip Coupons and Budget! I was SOOO excited to go there and learn how to save us some money! WHO wants to spend all their money on food?? go on a FANCY DATE with Nikolas! All you do is buy food, eat it, and buy some more. DUMB but important, I guess. Becky, the Coupon Genius in my ward that taught the class, gave us some great tips and to go check out our local newspaper’s Savvy Shopper, Amy. I went home that night and looked her up online. It showed Amy having a seminar at the hotel right next to our apartment that upcoming Tuesday. I signed up and that night the two of us went to learn how to save money!!! The Savvy Shopper, Amy, was GREAT! She was funny and kept the class alive. Everyone in the class was so shocked by her money-saving stories and techniques. With our eyes wide open and jaws dropped to the floor in disbelief/excitement we all scribbled down notes and vowed to never pay full price for an item again! Going to that class allowed us to get a discount when we order up to 5 Sunday papers. (depending on the number of Sundays in the month). So…we have had many great weeks with our grocery bills. Sundays when the retail stores and coupons come in the paper. Sunday: new coupons come to my doorstep for me to clip and organize in my binder. Wednesday: new grocery ads come in the mail for me to browse and circle with a permanent marker what deals are good for us to buy. Saturday: I make my shopping list of what he need for meals the next week and what we can stock up and put away in our Food Storage. and we try to get the most we can with our $25 Grocery Budget. It has been a ton of fun…especially because we make such a great team! Now, the best week we have had so far was this last Saturday. to not get the items at that time. and cheaper than the Store brand. Let me lay out some of the best deals from that day. Honey Bunches of Oats (Family Size). I was/still am SOO HAPPY with our shopping trip! We saved sooo much money and stocked up our pantries really well. All that money we saved could go to bigger and better things. I LOATHE spending money on food because it feels like it’s ALWAYS GONE! This makes me feel better about spending money on food. Anybody can do this and save money just like me! I'm sure if you tried it...you'd be hooked. 32 weeks pregnant with baby girl! Getting a little bit stronger.